Spring has sprung and so has all the super cute outfits. If one thing is for sure, I love to shop, but I especially love shopping for Darcy. I am a huge fan of kids fashion, being able to dress her up is so much fun and I am going to make the most of it whilst I can. So obviously I was thrilled when Fashion World got in touch to offer us some clothing to review. Fashion World have release so many new items for spring, and all the outfits you are going to see, Darcy actually picked out herself. 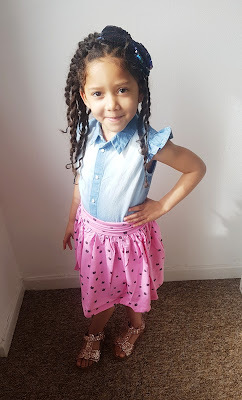 I (sometimes) love that she is starting to tell me her likes and dislikes when it comes to clothing. 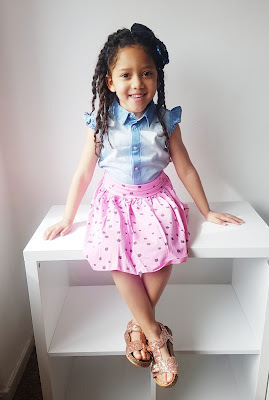 One thing that I like about Fashion World kids fashion is how I am able to mix and match them. 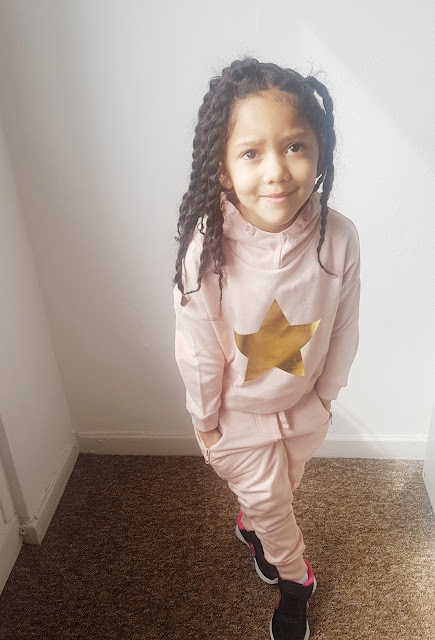 This tracksuit ticks all Darcy's boxes, pink, comfortable with a hint of gold.Oh and the bottoms have pockets, she loves pockets. I am impressed with the quality of the material, and it washes really well after a chocolate accident. 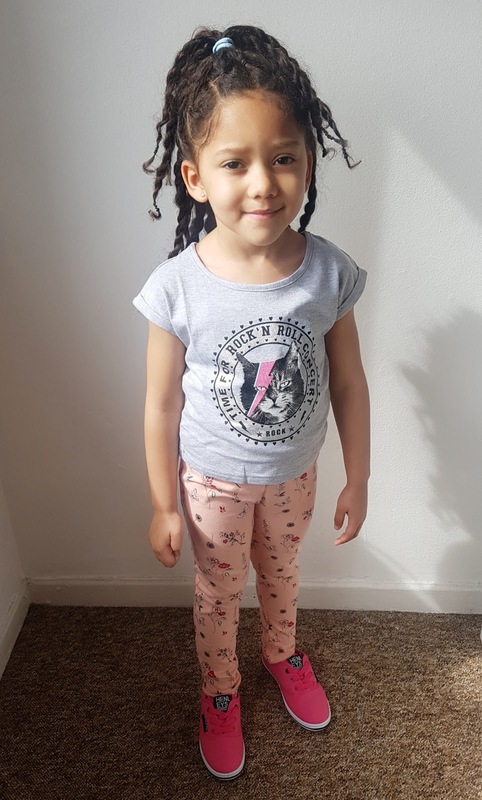 You cannot beat a t-shirt and a pair of leggings can you. The leggings actually come in a pack of two. These Henleys pumps are only £10, what a bargain. I've sprayed them with Crep Protect to make them waterproof and protect them from stains. This floral cagool is so and lightweight for the spring time. it’s also a great length which comes in handy for those April showers. It is also the perfect size to fold up and put in my handbag on those warmer days when it might rain. 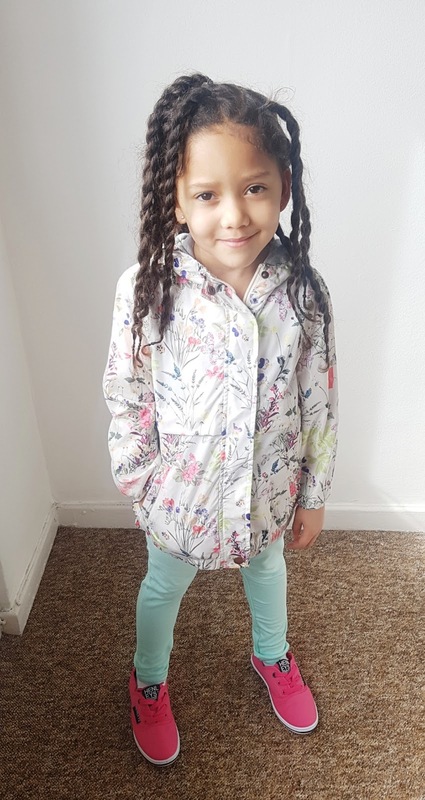 Can we all take a moment to appreciate these poses, I haven't a clue where she gets them from!! The sleeveless shirt and skirt go really well together. 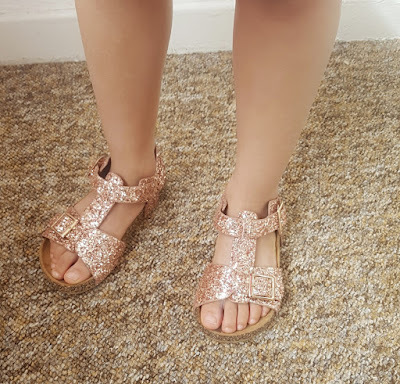 I wish these sandals came in my size they are so cute, it also has a moulded sole so I know her feet will be supported. 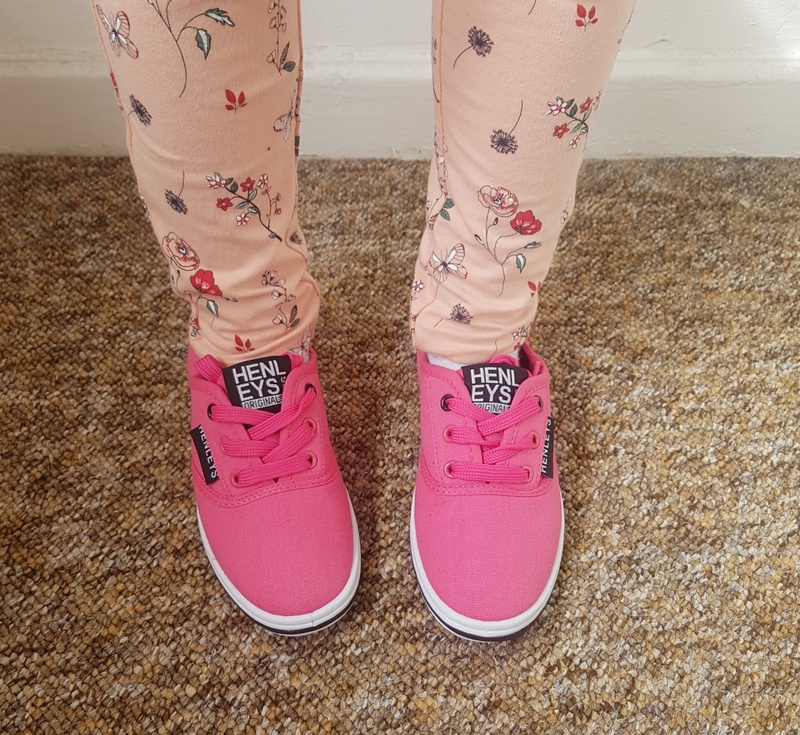 I found ordering from Fashion World really easy, the items arrived quickly and there is also an option for next day delivery. Darcy and I were spoilt for choice, as there was so much to pick from. I will definitely be ordering some more bits for her in the future.